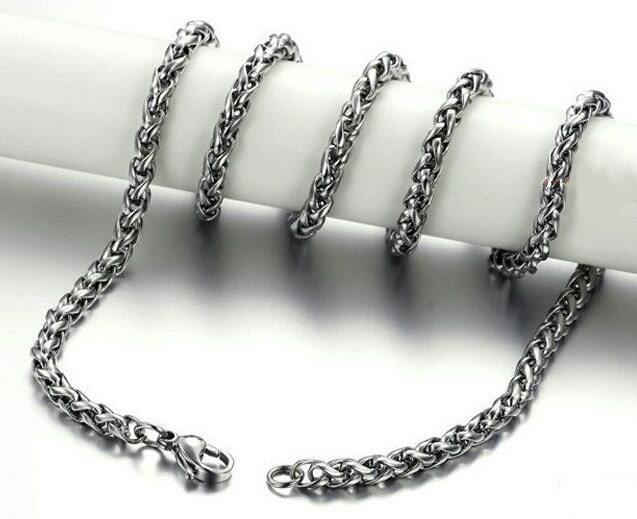 Exclusive All Stainless Steel 3 Flat Bars in a Two Color Cross with Heavy Braided Weave Chain. 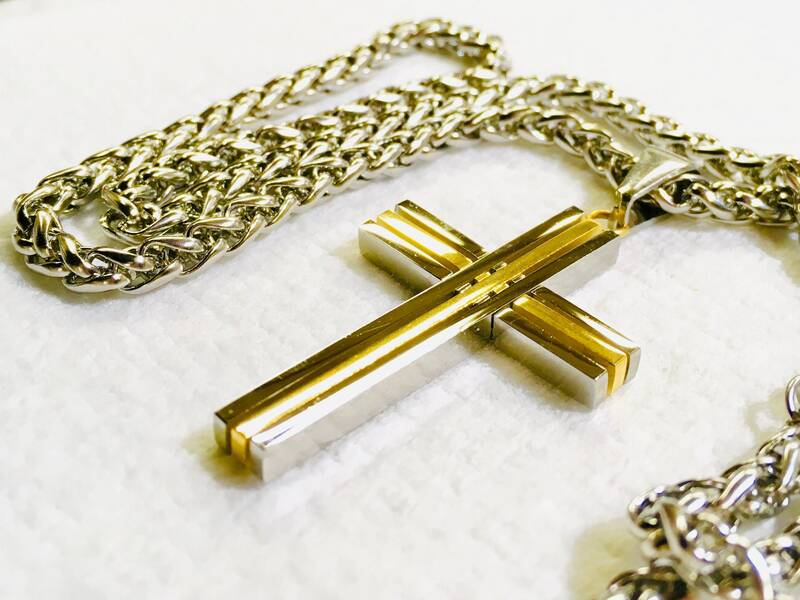 All Stainless Steel Cross and Chain. 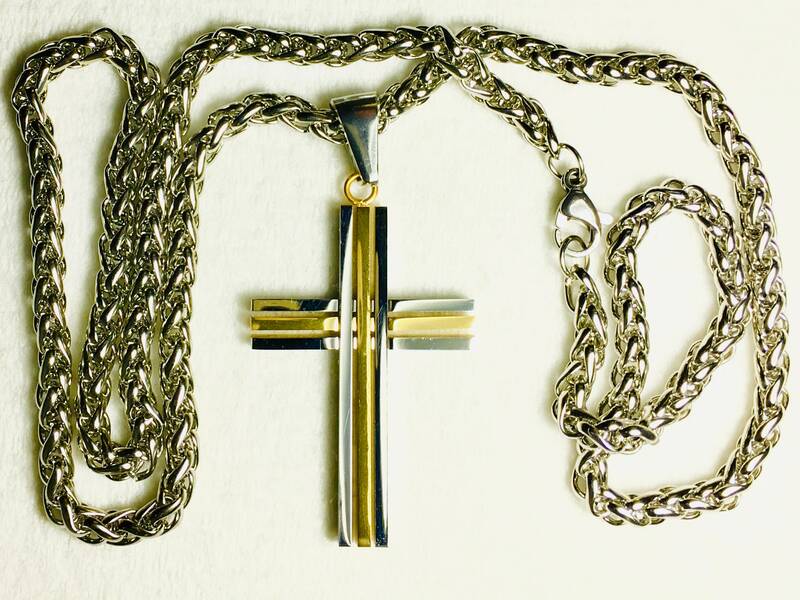 Cross has both a Silver and Gold Finish. Each of the Bars has a High Luster polish. Measures 1” wide x 1 1/2” long. 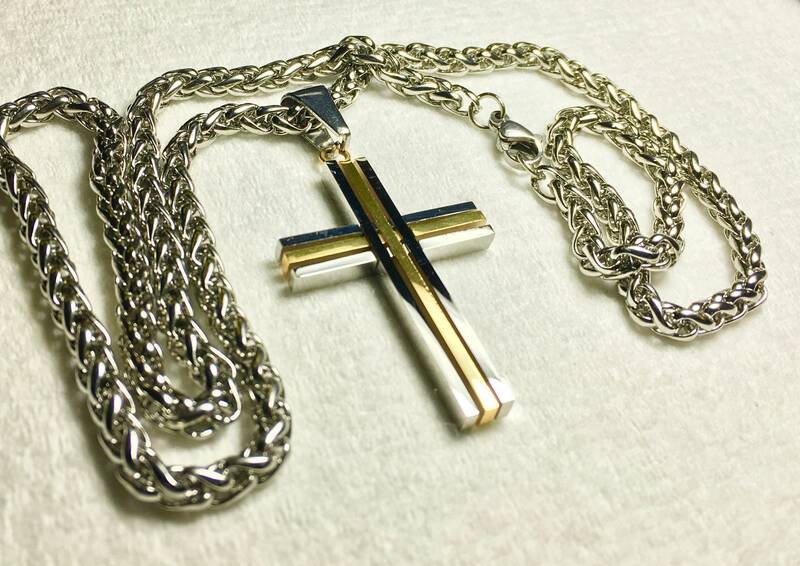 Each cross comes with our fabulous heavy 20" chain. 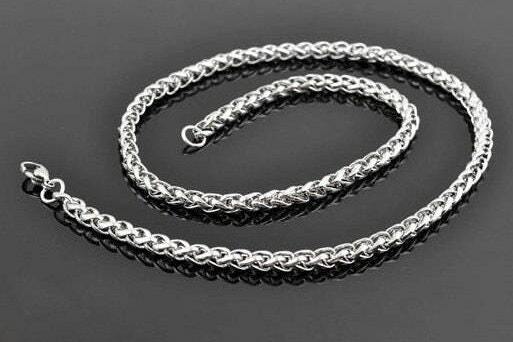 Our exclusive Heavy 4mm x 20" all Stainless Steel Braided Chain comes with a positive locking lobster clasp. Very High Quality item for such an excellent price. A Saint Michaels Jewelry Exclusive.